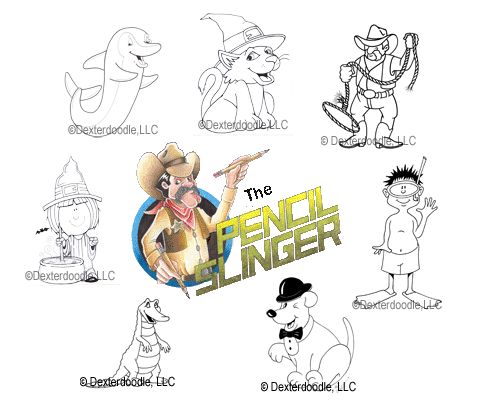 At the Pencil Slinger, our 2D artists have a wide selection of 2D images that are great for clip art or scrapbooks! Browse our extensive collection and we are sure you will find some great ideas for children's art, cards and presenations! Check out the selection at The Pencilslinger!